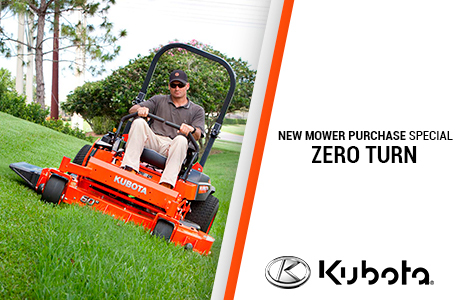 Equipped with an easily adjustable 52" floating deck, Kubota's WHF19-52 hydro drive walk-behind mower increases cutting efficiency and reduces operator fatigue. 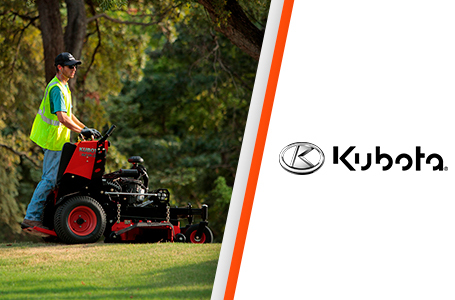 Work confidently with an industry-proven Kawasaki engine, heavy-duty, maintenance-free spindles, a 5-gallon capacity fuel tank and an easy-to-read hour meter. Engine (Kawasaki FX600V): V-Twin overhead valve design; Cast Iron Cylinder Sleeves; FX600V uses a Dual Element Air Filter; The Kawasaki FX-series provide higher compression ratio from the unique overhead valve design, improving performance and reliability. The V-twin design reduces engine vibration and noise, increasing the wear characteristics of the rotating groups within the engine. 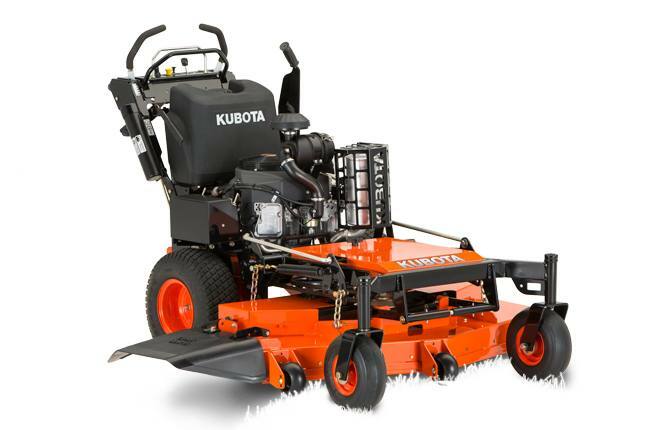 The dual element and pleated air cleaner keeps debris from entering the intake and combustion chamber, increasing life of the engine rotating groups and ultimately the walk-behind mower series uptime. Transmission: Twin 10 cc Hydro-Gear Variable Displacement Pumps and Parker Wheel Motors; The dual lever precision hydro control reduces operator stress and fatigue; Two position damper allows for a more aggressive or less aggressive response from the controls. 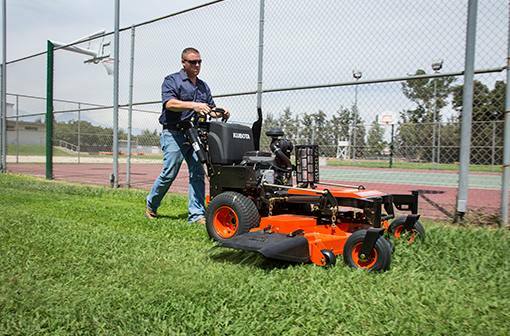 This adjustability allows less experienced operators to more accurately control the machine. Heavy Duty Spindles and Wheel Bearings: Spindles and wheel bearings are designed for no maintenance; Sealed bearing prevents premature wear due to debris or lack of grease; Heavy duty bearings lower maintenance costs. Discharge System: Flexible molded polymer discharge chute; The discharge chute’s structure disperses the clipping’s in a wider, higher angle; The discharge chute’s design creates less clumping of the clippings which keeps the grass healthier, and prevents the clippings from killing the grass. Operator’s Station: The control panel is ergonomically designed to keep the operator in control; The control panel has the key switch to start the mower, engine throttle and choke, brake lever, speed adjustment, and the PTO switch; Simple control system that is comparable to many zero-turn riding mowers; Two position damper to adjust control effort. Floating Deck: The full floating deck is pulled instead of pushed; The float deck moves independently of the drive and caster wheels; This feature allows the mower to follow the contours of the ground, so whether on hilly surfaces or uneven ground, the floating deck will improve performance and quality of cut; Large wide drive tires help put the power to the ground and keep the mower on track. Tracking Adjustment Turnbuckle: Simple system for adjusting the tracking to get machine to go straight; Wing nut to lock and turnbuckle to get precise adjustments. Front: 11x4.0 in.-5 in. ; Rear: 18 in.x 7.5 in.-8 in.